How can a bear tweet? I have been set up with a Twitter account where I am supposed to tweet things. I am confused by this. At the moment all the birds in the garden are all tweeting away but I have no idea what they are talking about though suspect it has something to do with nest building. My ‘tweets’ are meant to be very short sentences with less than 140 characters. 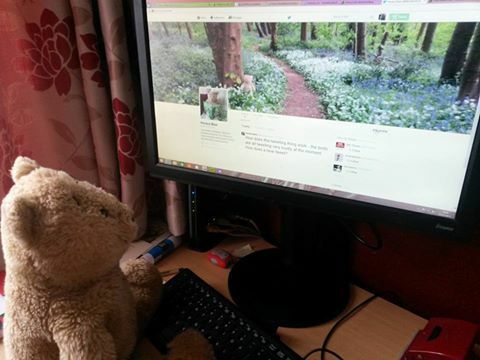 I guess I’ll give it a go; my name on twitter is Horace Bear @Alresford Bear if anyone would like to ‘follow’ me – not that I am going anywhere at the moment. This entry was posted in Uncategorized and tagged alresford bear, twitter by karenlovestodance. Bookmark the permalink.